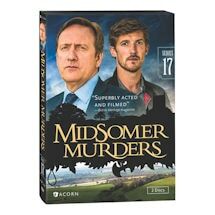 DCI John Barnaby (Neil Dudgeon) and his new sidekick, DS Charlie Nelson (Gwilym Lee, Land Girls), are called in when a stabbing occurs at a haunted house, a man falls out of a plane, a series of murders mimics a medieval fresco, and a Midsomer businessman is poisoned on a trip abroad. 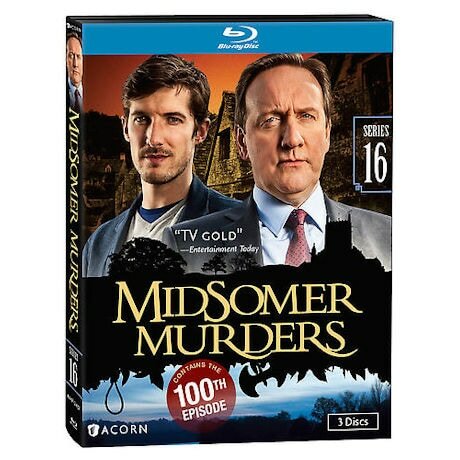 Includes the 100th episode, The Killing of Copenhagen. 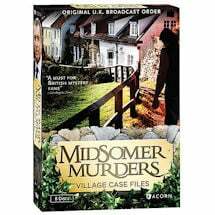 Guest stars include Michael Jayston, Sharon Small, Robert Bathurst, Ann Eleonora Jorgenson, and Hayley Mills. 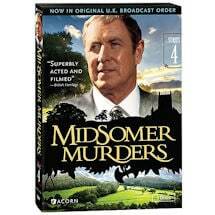 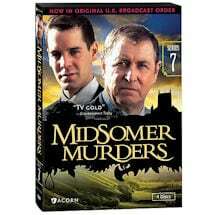 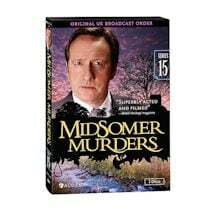 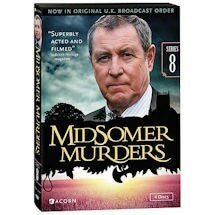 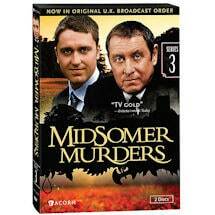 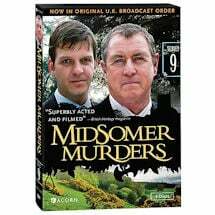 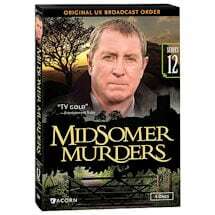 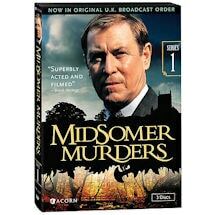 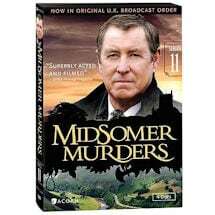 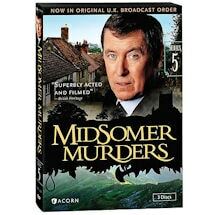 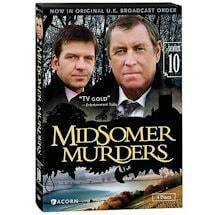 Midsomer Murders Series 16 on Blu-ray features 5 cases, 7	¾ hrs, 3 DVD or Blu-ray discs, SDH. 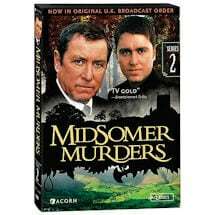 Mature audiences. 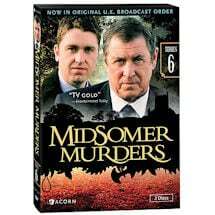 New detective Charlie Nelson helps Barnaby investigate a stabbing at a haunted house. 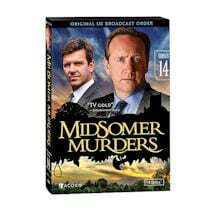 A series of murders mimics scenes on a medieval fresco in Midsomer St. Claire. 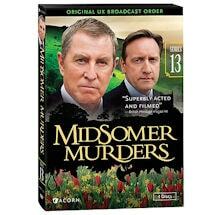 The death of a wealthy farmer leads the detectives to rotten dealings at a celebrity chef's restaurant. 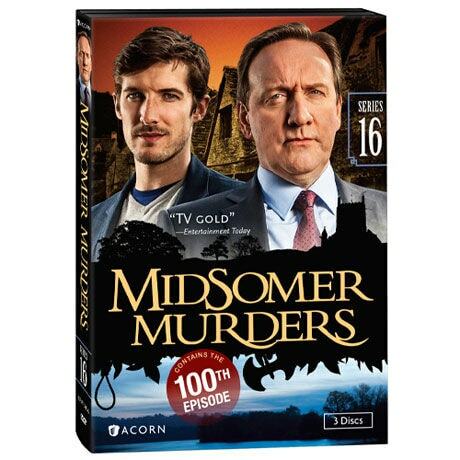 After a man falls out of a plane, Barnaby and Nelson scrutinize he turbulent relationships at an airfield. 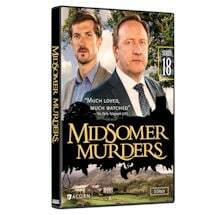 When a Midsomer businessman is poisoned on a trip abroad, Barnaby assists the Danish police with their inquiry.